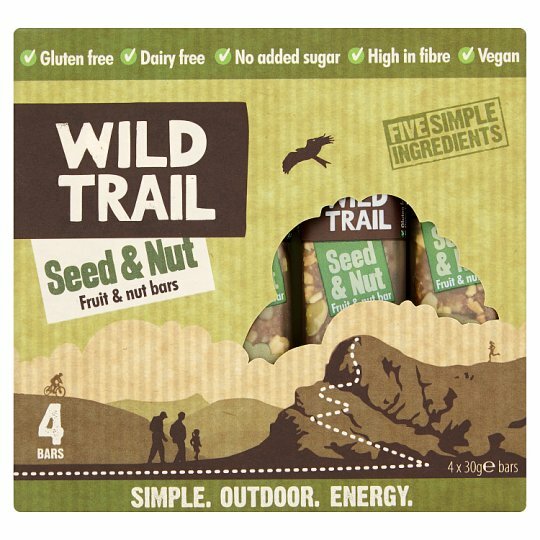 Our delicious Wild Trail Seed & Nut fruit and nut bars are made from just five natural ingredients and are nutritionally balanced to give you SIMPLE. OUTDOOR. ENERGY. Topped with tasty pumpkin seeds and chunky peanuts, these 30g snacking size bars are ideal for keeping you energised during the day. What led us to create our healthier snacks? Our very own wild trail, of course! Looking out from Wild Trail HQ is Snowdonia's Craig yr Aderyn, our inspiration for making snacks that encourage people to get outside, get active and enjoy their own wild trail… whatever or wherever that may be.